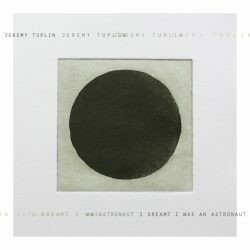 Alternate space folk singer-songwriter Jeremy Tuplin provides the listener with a series of unique sounds on this his debut full-length release. On progressing to what we have here, he has through the help of his good friend and long-time collaborator Mark Estall a most intriguing project. Recorded in each another’s living rooms, a genuine feel of intimacy is present throughout. The album is innovative and complete, and not in any way unstructured, but beautifully rounded, enjoying many subtle nuances, enough and more to keep you entertained once you have adapted to his particular style of music. Tuplin’s vocal style in the main draw: he teases out these wistful tones, and with the tempo always slow and deliberate (though quite often a little out there) it allows the story lyrics to be heard and digested and accessed by the listener. Among the finest tracks I would have to include gentle muse Time’s Essence and Where The Light Begins plus the vocally sparse but charming, Albert Einstein Song and the gently projected dreaming ode Astronaut. Interesting Tuplin album review…..Unique, intriguing and wistful pretty well sums it up.. he deserves a wider audience and hopefully your review will start to achieve that.